We are extremely excited to announce the latest additions to our ever-widening product range, the Edge and the Cirque – our first Inductive Chargers. 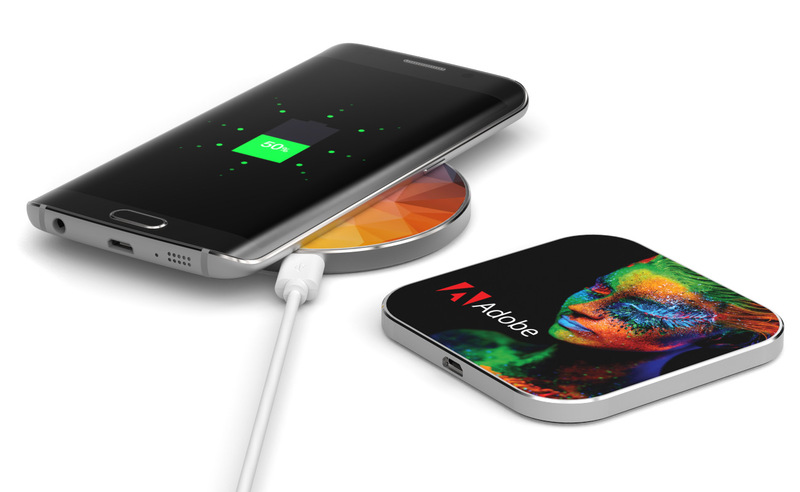 Also known as Wireless Chargers, Inductive Chargers are the next generation of device charging, allowing portable electrical devices to be charged without the need for any wires. The charger itself must still be plugged into the mains electrical supply, but the mobile device or tablet sits loosely on top as it charges. Aside from the novel technology, the Edge and the Cirque also offer fantastic branding capabilities, with the face of both chargers available for photo printing to showcase your logos and messages in a bold and clearly visible manner. When combined with the high practically of the Edge and the Cirque, it is easy to see why we are so excited to launch our new Inductive Chargers – the perfect promotional item for your business needs. If you would like to know more about our Inductive Chargers, or any of our other products, please fill out our Quick Quote Form, and one of our dedicated Sales Account Managers will be in touch with you promptly.